In 1977, Susan Sontag published her celebrated book, On Photography, which offered a searing critique of the camera’s capacity to objectify and control. “To photograph people is to violate them,” Sontag declared, “by seeing them as they never see themselves, by having knowledge of them they can never have; it turns people into objects that can be symbolically possessed. Just as the camera is a sublimation of the gun, to photograph someone is a sublimated murder” (14-15). Written with her trademark flair and force, Sontag’s book inaugurated a wave of criticism, much of it influenced by Foucaultian theory, that underscored the instrumentality and implicit violence of photography, its ability to police and regulate it subjects, especially those lacking social and political power: the poor, presumed “deviants” or “criminals,” and workers. As Sontag herself acknowledged, however, photography is not only a predatory means of taking possession, but also a mode of conferring value; it can potentially be put to counter-hegemonic uses, used to see and frame in ways that affirm and legitimate, rather than strictly contain and control, the presence of culturally disenfranchised persons. At the time On Photography1 was released, one such experiment in progressive photography was being undertaken upstate from Sontag, in Buffalo, New York, by a photographer named Milton Rogovin. Born into a Jewish family in New York City in 1909, Rogovin attended Columbia and trained as an optometrist, graduating in the midst of the Great Depression. Concerned about the plight of the unemployed, he began taking classes at the Communist Party-sponsored Workers School, and became convinced, as he explained later, that “socialism was the path we should take to create a more equitable society” (qtd Herzog, 28). In 1938 he moved to Buffalo and opened an optometric practice; in 1942, he purchased a camera and began experimenting with photography. Rogovin served in the U.S. army in World War II, and then returned to Buffalo, where he continued to be active on the Left. In 1957 he was called before a House Un-American Activities Committee and labeled by the Buffalo Evening News as the city’s “Number One Red.” The same year, he was invited by a friend, William Tallmadge, a professor at Buffalo State College, to take pictures in local African American churches where Tallmadge was making sound recordings for a Folkways album of gospel music. Tallmadge finished his work in a few months, but Rogovin continue to work in the churches for three years, eventually completing a series that was published in Aperture magazine, with an introduction by W.E.B. DuBois. 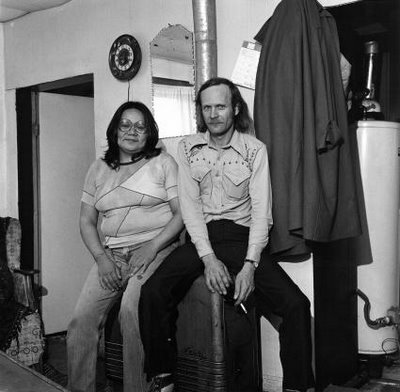 It was this store front church series that convinced Rogovin that social documentary photography was the kind of photography he wanted to pursue, and over the next several years, working closely with his wife Anne, he undertook a range of projects to document people he refers to as “the forgotten ones”: workers, the poor, indigenous peoples, people of color. He has photographed miners in Appalachia, Asia and Europe, the rural poor in Chile, and residents of Buffalo’s Lower West Side. 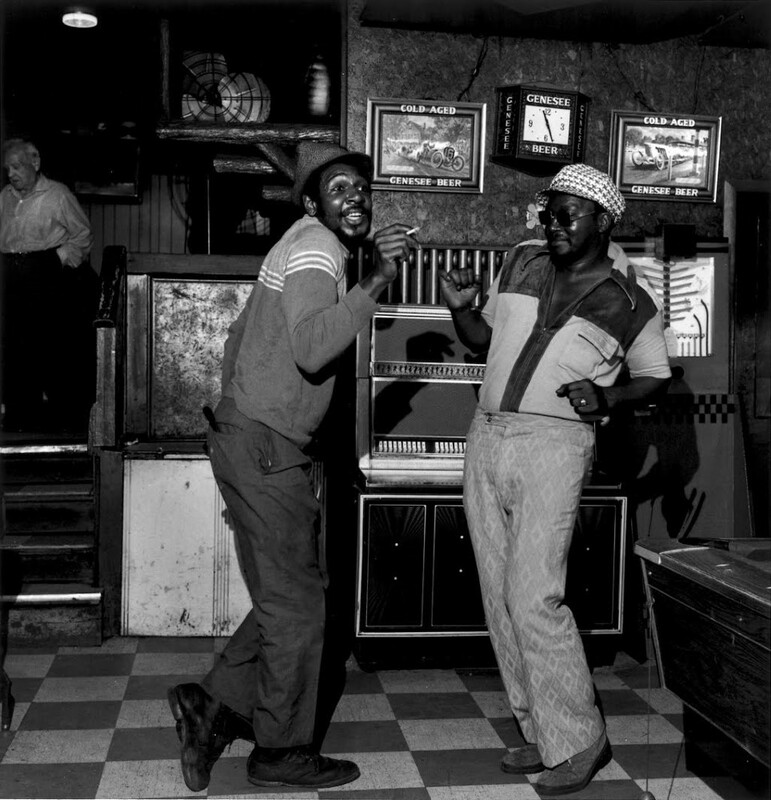 In 1978, he closed2 his optometric office in order to do a photo series in Buffalo area manufacturing plants, entitled “Working People,” which was completed between 1976 and 1987. Many of the portraits in his “Working People” series were diptychs: pairings of one photograph taken of an individual on the job, and one at home, and it’s these diptychs that I’m going to discuss. In the cultural sphere, the political and economic assault on unionized labor was accompanied by a negative turn in the public image of working people. In the cultural sphere, the political and economic assault on unionized labor was accompanied by a negative turn in the public image of working people. 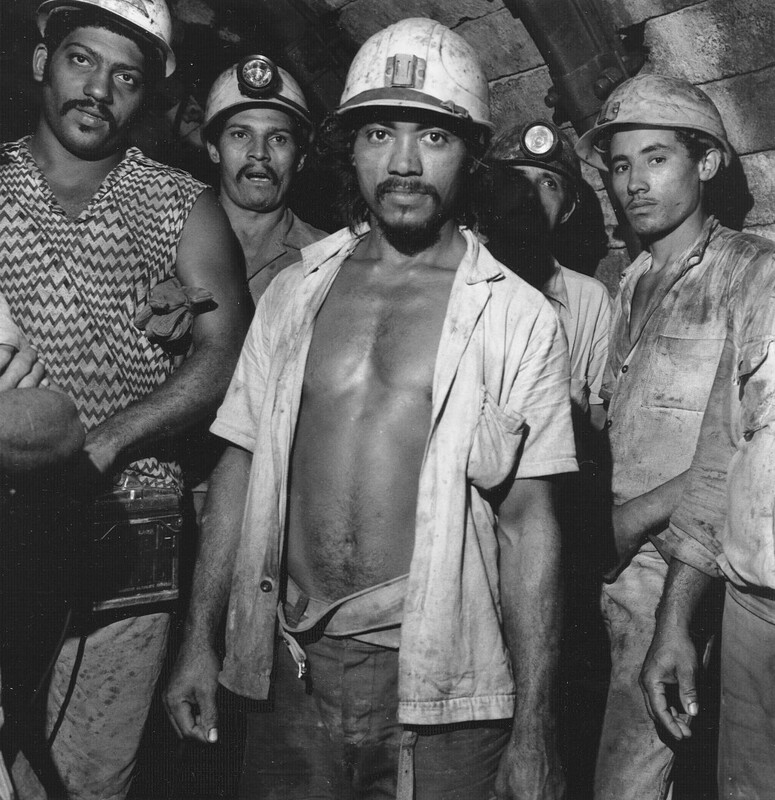 One of the most 3well-circulated pictures of American workers in the 1970s came from the so-called hard-hat riots, when, in 1971, construction laborers violently interrupted an anti-war march in downtown Manhattan, “hitting students with fists, hardhats, and tools and chasing them through the narrow streets of the financial district” (Freeman 237). Over the next two weeks, workers undertook daily lunchtime marches through the canyons of Wall Street, shouting “U.S.A. Alla Way!” “The hardhat demonstrations,” historian Joshua Freeman observes, “seemed to confirm a common, middle-class view of manual laborers that held them to be one-dimensional, inarticulate, and intolerant” (Freeman 241). Rogovin’s photography thus balances the documentary desire to grasp and present, to “capture” an image of the “Other,” with a commitment to holding back in order to allow his subjects space to shape the photographic process. In this work portrait, for instance, the man’s face glistens with sweat and his shirt is smeared with grease—he’s clearly been working hard. The walls behind him are soot-covered and grungy. The picture does not indicate what kind of work he performs, because the focus is on the man himself and his presence, which is anchored by the intensity of his gaze. He looks sharply, resolutely, into the lens, yet his body is posed easily, almost languidly, as he leans softly on his right arm. In the accompanying home portrait, his face betrays a hint of a smile, but his eyes are, as before, locked on the camera, looking directly at us. His casual, yet snappy attire and his relaxed, even effeminate, pose, left hand poised delicately on the sideboard, convey a feeling of calm confidence. As these pictures indicate, Rogovin’s photographs are the product of patient, self-conscious exchanges between photographer and subject. As such, they strike a balance between intimacy and distance, revelation and deferral. On one hand, the portraits are6 distinguished by the subjects’ direct engagement with the lens, and by the frontality and eye-level angle of framing, which create a feeling of immediacy and honesty. Yet the portraits also maintain an air of formality, a byproduct of conventional framing and posing—especially in the domestic pictures—that generates a certain measure of distance. The subjects look directly at us, yet we are aware that their self-presentation is in some degree theater, governed by conventions and pre-pared for our consumption. These photographs do not try to capture—and do not claim to offer—an unadulterated and transparent “truth,” an unmediated or utterly candid view of working-class life. Rather, these are carefully framed portraits of people who have deliberately, self-consciously posed and composed themselves for the lens. Rogovin’s photography thus balances the documentary desire to grasp and present, to “capture” an image of the “Other,” with a commitment to holding back in order to allow his subjects space to shape the photographic process. His practice is a form of “approach,” to borrow a term from Carol Shloss, that resists even as it engages. We might call this an aesthetic of “making space”: a photographic method that creates room for subjects to actively participate in the production of their own images rather than stand as passive objects before a colonizing gaze. 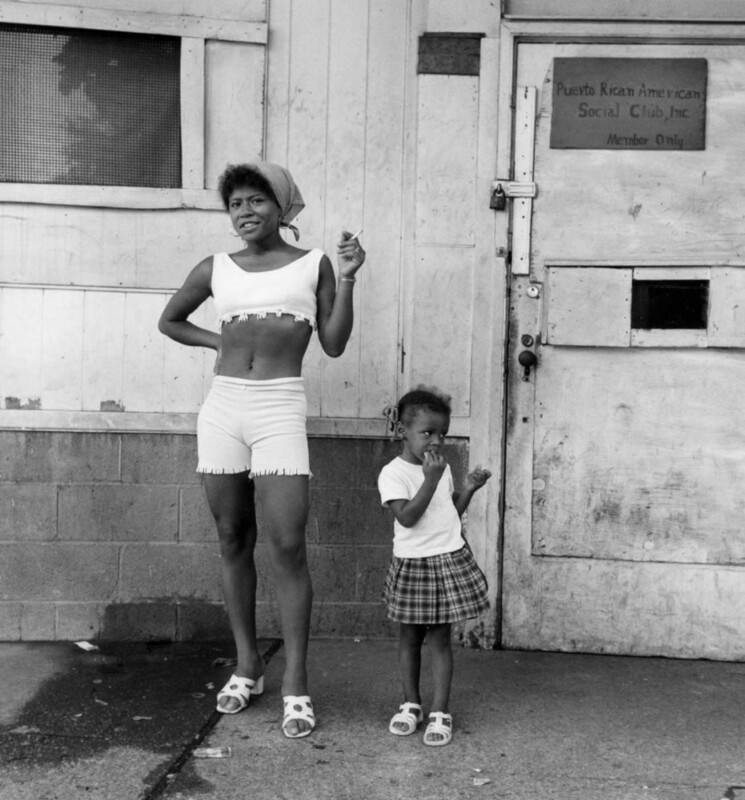 In a society that systematically diminishes the social, economic, and political power and freedom of working people—especially working people of color—Rogovin’s work models an alternative: a collaborative relation that grants working-class subjects an active role in the production of their public image. Rogovin’s commitment to collaboration is also evident in his long-standing practice of giving prints to people he photographs, exhibiting in their neighborhoods, and actively soliciting their feedback (Herzog 51). The freedom that Rogovin gives to his subjects produces some potentially surprising juxtapositions, such as the elderly foundry worker holding a kitten, an icon of 8 vulnerability, in his right hand, while his wife stretches her arm around him. Several other diptychs offer striking discontinuities between work and homes photographs. In the work photograph in this diptych, the woman is cast as a figure of immense strength. 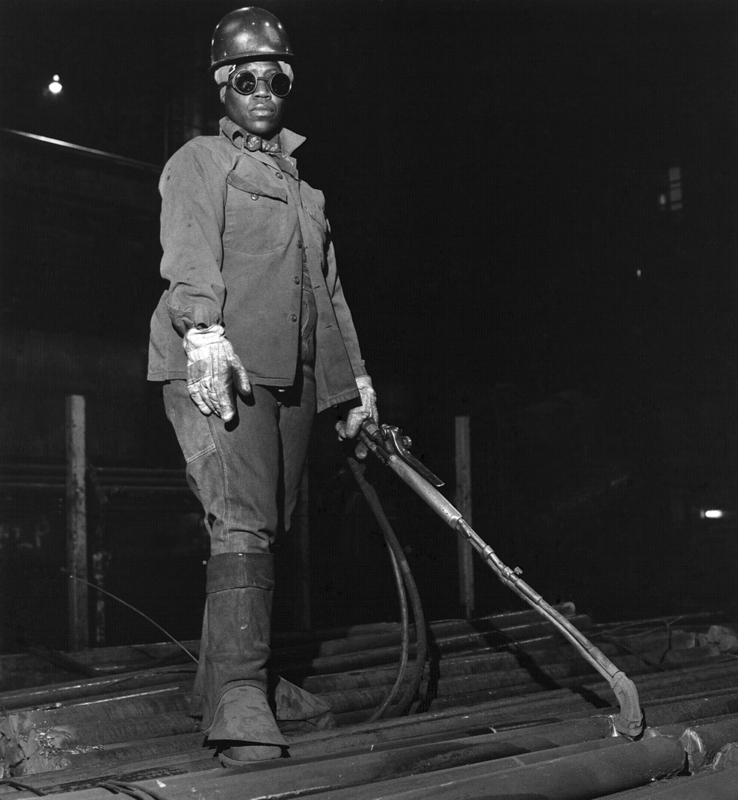 She is shot slightly from below, which elevates her figure, and her power in the image is enhanced by the thick protective clothes she wears and the long, steel-cutting device that she holds so casually. She looks directly at us, but her eyes are obscured behind dark goggles, and she doesn’t smile. She is a commanding presence: a powerful, skilled person who takes her work seriously. Her home photograph, by contrast, is marked by the broad smiles she and her sons display, and the ease and comfort they exude with one another, and, it seems, with the photographer. 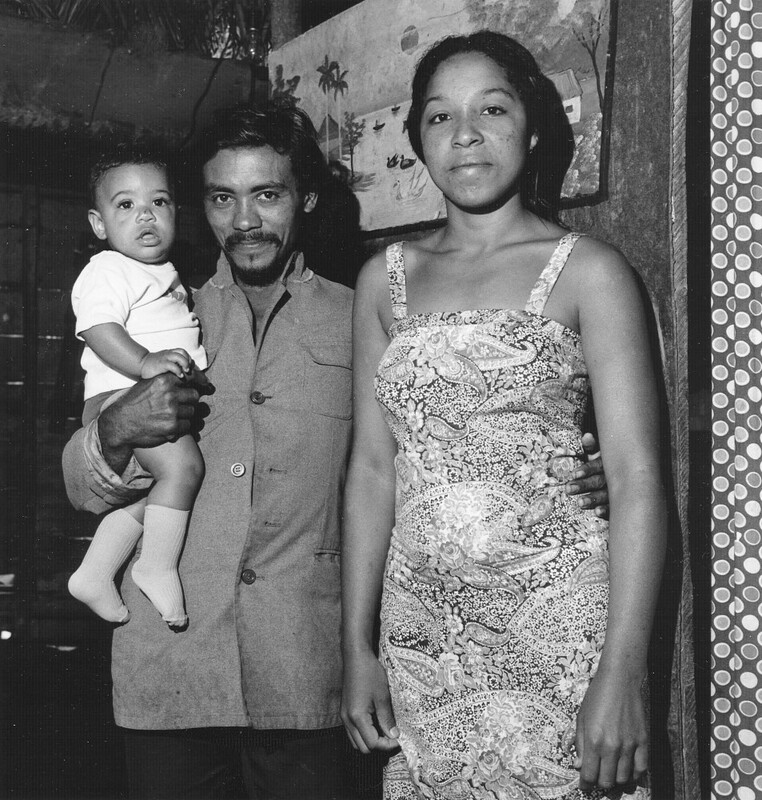 This (apparently) single black mother—a figure so often vilified in Reagan-era “family values” discourse—here appears as a responsible, loving parent and an accomplished worker. The space Rogovin creates for his subjects’ self-expression flows in part from his use of a Rolleiflex camera, which has a top-side view finder. The space Rogovin creates for his subjects’ self-expression flows in part from his use of a Rolleiflex camera, which has a top-side view finder. Rogovin notes: “I liked the twin-lens Rollieflex with its waist-level format because it allowed me to look down into the camera. This was a much better way of making photographs as I was sort of bowing in front of my subjects, and this creates a different kind of interaction than aiming the 10 camera directly at them” (qtd. in Herzog 92). Rogovin’s sense of himself bowing before his subjects signals a humility and modesty that undercuts the aggressive, predatory potential of picture-taking. If for Sontag photography is a “social rite, a defense against anxiety, and a tool of power” (8), for Rogovin, photography is, ideally, a democratic social process, a space of dialogue and reciprocal acknowledgement. This is not to say that Rogovin has completely rejected documentary photography’s power to record and classify. Although each portrait underscores the unique, distinctive features of an individual’s life and labor, the serial repetition of the diptych format places each individual image in the context of a larger a group, a class. There is something taxonomic about Rogovin’s enterprise: he is, after all, composing an archive. Yet this archive suggests the rich variety, rather than the typological status, of persons who share a social and economic position as industrial workers. These people are members of a class, but Rogovin’s images suggest that their lives, bodies, personalities, and personal relationships cannot be reduced to or contained within class as an abstract category. Davis, Mike. Prisoners of the American Dream. New York: Verso, 1984. Freeman, Joshua. Hardhats: Construction Workers, Manliness, and the 1970 Pro-War Demonstrations. Journal of Social History (June 1993): 725-739. Herzog, Melanie. Milton Rogovin: The Making of a Social Documentary Photographer. Seattle: University of Washington Press, 2006. Rogovin, Milton and Michael Frisch. Portraits in Steel. Ithaca: Cornell University Press, 1993. Shloss, Carol. In Visible Light: Photography and the American Writer, 1890-1940. New York: Oxford University Press, 1987. Sontag, Susan. On Photography. New York: Anchor, 1977. Stange, Maren. 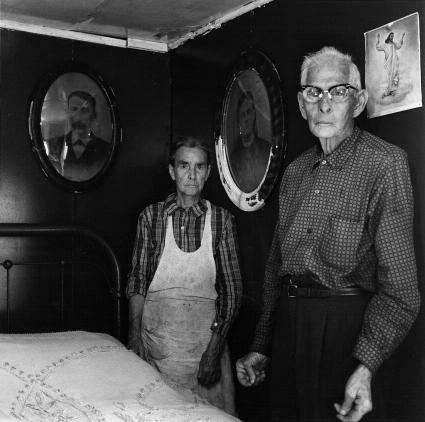 Symbols of Ideal Life: Social Documentary Photography in America, 1890-1950. Cambridge: Cambridge University Press. 1 NOTE: In 1968, Bethlehem Steel employed nearly 20,000 people in the city, while 22,000 people worked in the city’s seven GM plants. However, according to Buffalo historian Mark Goldman, “The tide turned quickly . . . and within a year or two, industry in Buffalo, particularly in steel and automobiles, entered a period of deepening crisis from which it never recovered.” In 1971, half of the workforce of Bethlehem was permanently laid off; by December 1982, the company announced it would be phasing out almost of its steel making within six months; that same year, Atlas Steel Casting and Republic Steel had likewise closed their Buffalo plants (Herzog 113). Posted in Essays, Featured and tagged Buffalo, Detroit, Milton Rogovin, New York, Pittsburgh, Portrait, Social Justice, Susan Sontag, Working Class.